Ryna is a partner and part of the Firm’s corporate and commercial team. She has been practicing as a lawyer since 1994 and is enrolled as Advocate with the Bar Council of Maharashtra & Goa. 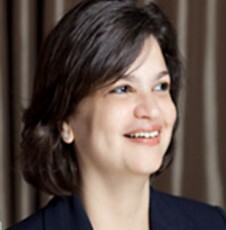 Prior to joining ALMT Legal in November 2006 Ryna was a partner at another law firm in Mumbai. Ryna’s practice includes advising on mergers and acquisitions, joint ventures, private equity and investment funds on a full range of corporate transactions including cross border transactions. She has advised and assisted a number of foreign clients in establishing a presence in India through incorporations of companies and/or establishment of branch/liaison offices. Besides her M&A practice, Ryna advises clients on infrastructure projects including submission and preparation of RFPs, finalizing tenders, drafting and/or negotiating concession agreements and related documents. Ryna also regularly advises clients on loan transactions (both Rupee and external commercial borrowings), including drafting and negotiating the loan agreements, security and other related documents. She also provides advice on general corporate matters, commercial contracts and has a substantial real estate practice. Advised a private equity fund in connection with its investment in a public company. Advised a foreign registered venture capital fund in its investment in a logistics company. Advised a foreign registered venture capital fund in connection with a restructuring of its investment in two public companies. Advised a foreign registered venture capital fund in connection with the exercise of its exit options and sale of its shares in a foreign registered venture capital fund. Advised a foreign registered venture capital fund in connection with a winding up notice filed by a third party against a company in which it held shares, the consequences of winding up and exit strategy. Advised a foreign bank and issued a legal opinion in connection with the assignment of a pre-shipment credit facility to an Indian exporter. Advised a foreign bank in connection with an external commercial borrowing to an Indian company. Advised on the amalgamation of two wholly owned subsidiaries of a leading Indian bank, including filing of relevant applications in the appropriate court. Advised on the amalgamation of two private limited companies in the logistics business. Advised on the amalgamation of two private limited companies in the pharmaceuticals business. Advised client on the concession for a green field cargo terminal and the relevant shareholders agreements, loan and security arrangements, including the escrow arrangement, and various issues in connection with these arrangements. Advised a UK based company on various issues relating to Indian law requirements for establishing a cable /TV network business in India. Advised on the acquisition of twenty five percent shares of an Indian company by a non-banking financial company, including regulations issued by Reserve Bank of India governing non-banking financial companies. Advise an Indian lender on rights of Borrower under a sales agreement forming part of the lender’s security. Advised on setting up of an air charter service company with foreign direct investment, including seeking Foreign Investment Promotion Board approval and the applicability of the Regulations franked by the Directorate General of Civil Aviation.